"My friends don't know that its very difficult to be successful in America - it takes a lot of work. But they also don't know that when you work hard, anybody can become anything here." 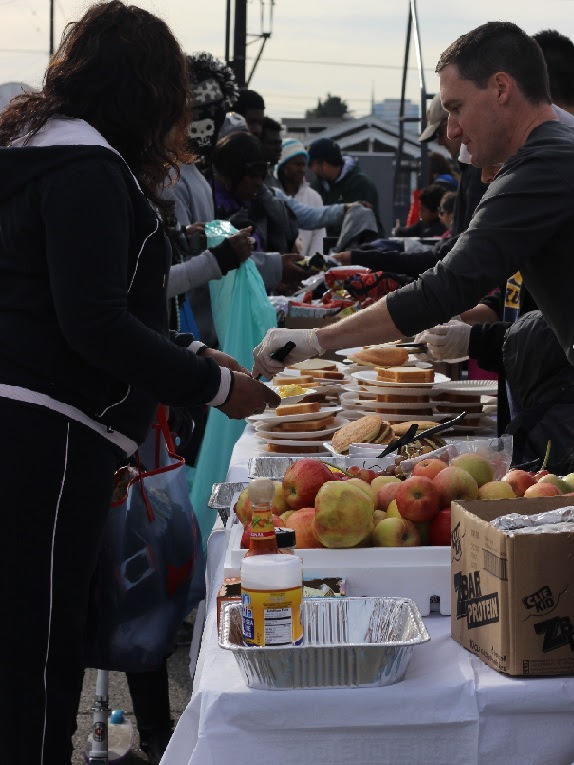 Breaking fast with the homeless has become an Uplift Charity tradition. Dozens of volunteers served meals to homeless at sunset time and enjoyed a meal themselves when it was time to break fast. The cool evening breeze, sounds of chatter from our guests along with the look of contentment on their faces makes this event a pleasure for everyone involved.